The following plugins are included in the source package. Enables the scanning of incoming mail received from a POP, IMAP, or LOCAL account using Bogofilter. It can optionally delete mail identified as spam or save it to a designated folder, and also can be used to train Bogofilter. Handles S/MIME signed and/or encrypted mails. You can decrypt mails, verify signatures or sign and encrypt your own mails. Enables the scanning of incoming mail received from a POP, IMAP, or LOCAL account using SpamAssassin. It can optionally delete mail identified as spam or save it to a designated folder, and also can be used to train a local Spamassassin (or a remote one if Spamassassin >= 3.1 is installed both locally and remotely). Places an icon in the system tray that indicates whether you have any new mail. A tooltip also shows the current new, unread and total number of messages, and a contextual menu allows the most common operations. Additionally, several external plugins are available on the Plugins page. 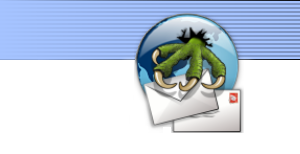 They are not included in Claws Mail to minimize the dependencies and size of the core software, but provide nice, extra functions.